Housing stability is necessary for individuals and families to thrive and prosper. Yet millions of households in both rural and urban communities across the country live in homes that cost more than they can afford, homes with physical or health hazards, or homes they are at risk of losing due to foreclosure or eviction. Rural communities share some common challenges with distressed urban areas, and they also have certain unique challenges given their smaller populations and low population densities. Rural communities face declines in population, high poverty rates, high rates of child poverty, and a slow recovery from the recent recession. A staggering one in four children in rural communities lived in poverty in 2014, according to the U.S. Department of Agriculture’s Economic Research Service. Furthermore, given the important role that federal support plays in rural communities, moves to cut federal funding for affordable housing programs can be particularly painful for rural households, just as they are for distressed urban neighborhoods. In order to explore solutions to some of the challenges facing rural communities, the White House Rural Council and the U.S. Department of Agriculture’s Rural Housing Service in May convened a roundtable that focused on access to mortgage credit. The Center for American Progress facilitated the roundtable, which brought together a diverse group of people, including affordable housing providers, banking industry representatives, academics, consumer advocates, and housing industry representatives. This issue brief provides an analysis of the areas of opportunity for improving access to credit in rural communities gleaned from discussions in the roundtable. Many of the potential solutions identified for rural markets could also provide a boost to distressed urban neighborhoods, which could create an opportunity for urban and rural policymakers to work together to benefit their respective constituencies. CAP supplemented notes from the roundtable with follow-up conversations with certain roundtable participants and with additional research in order to prepare this brief. The issue brief does not signal CAP’s endorsement of policy proposals but rather aspires to provide a foundation for a thoughtful and productive conversation on providing credit for rural housing. Although differences in lending between rural and urban areas have generally decreased since 2008, some differences persist between rural and urban communities, according to research by representatives from Fannie Mae’s Economic & Strategic Research team. Rural consumers tend to have lower incomes and live in lower-median-income areas compared with their urban counterparts. Rural consumers are less likely than their urban counterparts to be first-time homebuyers. Compared with properties in urban areas, rural properties are more likely to be second homes, which are one-unit properties that an individual owns and resides in for part of the year, and manufactured homes, which are built in factories and moved to their sites. One similarity between rural and urban areas is that renters in both cite insufficient credit scores or the costs of a down payment and closing on a mortgage as the biggest obstacles preventing them from becoming homeowners. Single-family housing, which refers to structures with one to four housing units each, is very important in rural communities. Homeownership rates are higher in rural areas compared with the national rate, and a large share of rural renters—43 percent—rent single-family homes, which is twice as high as renters in urban areas. The single-family picture, as with the broader housing patterns in rural America, is significantly affected by economic trends in the country. A CAP analysis in November 2015 found that many of the counties still struggling to recover from the 2008 housing crisis are rural and nonmetropolitan. Many rural home purchase mortgages are high cost, and though more rural households own homes without mortgage debt, their equity in the home is generally less than that of their counterparts in urban and suburban areas. Rural communities include about 7.1 million renter-occupied units, according to analysis by the Housing Assistance Council in 2013. That is about 28.4 percent of the housing stock in rural areas and small towns. Although about 43 percent of renters in rural areas live in single-family homes, a significant share rely on multifamily housing, which refers to properties that include five or more housing units. Roundtable participants noted the importance of small multifamily properties in rural areas, given rural communities’ smaller scale in terms of population size and the extent of existing infrastructure. Nonetheless, developers may face challenges in obtaining federal subsidies to build or maintain smaller properties in rural areas, though tenants of such properties may receive rental assistance. This indicates challenges in accessing both enough federally subsidized credit and enough credit from private developers in rural communities, which may be influenced by the availability of federal subsidies. According to the Housing Assistance Council analysis, more than 17 million people live in rental housing in rural communities. For those that rent units in multifamily properties, ensuring that affordable multifamily housing exists and is accessible is critical. Although the price per housing unit in rural areas may be lower than in urban areas, several roundtable participants emphasized that transaction costs are still very high with smaller developments. In the case of small rural multifamily properties, for instance, the cost of developing the property may be higher than the value of the property. These costs, along with the lack of needed developer capacity and limited access to financing resources, present a hurdle for developing affordable housing in rural communities. At the same time, many affordable rental units financed through the Rural Housing Service, or RHS, are at risk of being lost in the future. The service’s multifamily housing portfolio includes 14,650 properties, comprising more than 450,000 units. The average annual income of households served by these properties is about $12,000. The properties in the RHS rental portfolio have aged and need to be rehabilitated. Moreover, many properties are exiting their affordability terms, either due to prepayment, where a property owner fully pays off the mortgage early, or due to property owners successfully nearing the end of their mortgage obligations. Once the service’s property mortgages have matured, the properties may lose rental assistance that helped decrease the rent for tenants. Manufactured housing, which refers to houses built in factories that are transported to their sites and that meet certain federal safety standards, remains an important source of affordable housing for rural communities. Many manufactured housing loans are titled as personal property or so-called chattel loans instead of as real estate loans, the way other mortgages are titled. While in some cases chattel loans may have certain cost savings for consumers, real estate loans tend to have many more consumer protections and lower interest rates. Participants in the roundtable noted that manufactured housing lending tends to be concentrated among a handful of lenders. Additionally, according to a 2013 report by the Fair Mortgage Collaborative, borrowers with FICO scores under 650 may face difficulties in obtaining a mortgage-titled manufactured home. A defining difference between rural and urban communities involves scale; rural communities have smaller populations than their urban counterparts and tend to be more geographically spread out. This influences various trends and specific needs of rural communities. For example, rural renters tend to occupy single-family houses or small multifamily buildings, as opposed to large apartment complexes. Since rural communities may struggle to attract private capital for affordable housing development, federal support through various programs plays a critical role in rural communities. Participants in the roundtable felt that there were two crucial components to addressing these issues of scale: 1) implementing strategies that help rural lenders and developers get up to minimum economically viable scale, which would help them compete effectively for financing that urban counterparts may obtain more readily; and 2) ensuring that existing federal programs account for the smaller scale in rural communities through their criteria. Under the first component of helping rural market participants get up to scale for existing federal programs, the roundtable participants discussed the Low-Income Housing Tax Credit, or LIHTC, specifically. Through the LIHTC program, investors can receive tax credits for constructing or repairing rental housing that is affordable for low-income households. The federal government provides the tax credits to state housing agencies based on population, and then the state agencies award the tax credits competitively based on their criteria for the kind of affordable housing development preferred for their states. Making rural housing development more competitive for LIHTC financing would be an important way to boost affordable housing in rural communities. One possible approach explored by roundtable attendees involved allowing small multifamily properties to be bundled together in order to reach a competitive scale for LIHTC applications. Roundtable participants expressed that transaction costs of small, often rural deals are quite high as a percentage of the deal, leaving proportionately less funding for the property when compared with larger, most typically urban and suburban LIHTC deals. Allowing multiple properties to be packaged together as a portfolio for a LIHTC award could save some money on legal and compliance costs, increasing the debt capital available through the LIHTC award. Then, working with investors to determine how to keep transaction costs as low as possible in small or combined deals could help make LIHTC-financed properties more competitive to private investors who provide equity investments for LIHTC-financed properties. This could potentially create a more competitive project that would attract more LIHTC awards in rural communities. To be sure, there would be certain challenges and issues to consider for such a model for rural LIHTC deals. For instance, it may be difficult to package properties from different sites together as one entity for the sake of financing through LIHTC, and policymakers may need to streamline and standardize certain processes, required information, and documentation in order to make this financing model more feasible. Private investors who provide equity investment in LIHTC-financed properties may be reluctant to support deals that include various dispersed and diverse properties in one portfolio. To that end, revamping the Community Reinvestment Act’s, or CRA’s, coverage, as discussed later in this brief, could better support investor demand in LIHTC deals that involve multiple properties. The CRA encourages depository institutions to serve the needs of the communities where they work. Roundtable participants seemed to agree that LIHTC is essential to creating affordable housing in rural communities, and many groups, including CAP, have called for its expansion. As Congress considers legislative proposals to expand the LIHTC program, it could also consider strategies to address the challenges associated with financing rural multifamily properties through the program. Such strategies could include designating a boost in the LIHTC awards for rural properties and establishing incentives for state housing finance agencies to establish a rural set-aside or rural priority for certain rural applicants. Such strategies could help ensure that programs such as the LIHTC account for the smaller and unique scale of rural communities. Small loans meet an important need of rural communities, given the smaller scale of rural areas compared with urban communities. According to some roundtable participants, small loans can help address substandard housing and infrastructure conditions in the “colonias,” communities that are primarily located in the rural region near the border between the United States and Mexico. According to one estimate, almost 45 percent of residents of border counties lack sufficient access to the banking system. The federal home loan banks can step into this void by helping support small loans in colonias, and may be able to play a role in supporting small rural loans in other parts of the country. Ginnie Mae—an agency within the U.S. Department of Housing and Urban Development that guarantees securities of mortgages that are made by private lenders and insured by the Federal Housing Administration or guaranteed by the Rural Housing Service, the Office of Public and Indian Housing, and the Department of Veterans Affairs—may play a role in promoting small rural mortgage loans specifically. A vast majority of the loans originated in conjunction with these federal agencies are guaranteed in Ginnie Mae securities. Some roundtable participants suggested that strategies for better supporting small rural mortgage loans and other small rural loans could include Ginnie Mae or the federal home loan banks as partners. The number of banks in rural communities has been declining for decades, long before the financial crisis and the subsequent Dodd-Frank Wall Street Reform and Consumer Protection Act. The Consumer Financial Protection Bureau, the federal agency that implements the Dodd-Frank Act, has provided exemptions and flexibility for small banks in rural or underserved areas in order to account for their unique needs and capacity constraints. For example, small banks that serve rural or underserved areas can make qualified mortgages—which are mortgages that include characteristics that verify compliance with certain statutory requirements—that include a large lump sum payment, or balloon payment, at the end of the mortgage. One way to further help the declining number of banks that operate in rural communities may be by streamlining back-end processes for servicing and compliance so that rural banking institutions have more capacity to promote access to housing credit. Servicing, which refers to the day-to-day management of a mortgage loan, may be a complex task for some smaller financial institutions. Innovations that help small institutions with servicing and other back-office processes could help promote their ability to provide more credit. The Iowa Bankers Mortgage Corporation, or IBMC, as an example, provides a full-service program for banks that do not want to or do not have the resources to service the loans they make. Through this program, the IBMC serves as a central office that can ensure loans are serviced properly and that relieves smaller financial institutions from having to build the resources or personnel to comply with servicing. Under the current program, the loan officially closes under the IBMC’s name; however, the IBMC is working on architecting a new program where banks can rely on the IBMC for more back-office operations and still close the loan in their own name. Innovations such as these can help relieve small banks of back-end compliance and servicing processes and free up small bank resources for providing more credit. Credit unions, which are nonprofit organizations that work as member-owned cooperatives in order to provide their members financial services at better rates, may serve as a model in this regard, as they often rely on credit union service organizations for certain processes such as underwriting or servicing. To be sure, there are certain considerations for programs that consolidate back-end processes, such as how the changes would affect risks and pricing and whether the programs could maintain the personal touch consumers may be accustomed to from a more local servicer. Further research could explore how policymakers could help small banks balance these aspects of their work with the opportunities for providing credit that may result from collaborating for back-office operations in servicing and compliance. A resounding sentiment from roundtable participants was that community-oriented financial institutions, nonprofits, and mission-oriented developers lack enough access to capital that is both affordable and predictable for their work facilitating affordable housing in rural areas. The lack of capital increases the importance of federal subsidies for affordable housing development, and according to several roundtable participants, access to subsidies from the developer end seems to be a pressing issue, specifically in multifamily housing. While certain existing resources—such as the National Housing Trust Fund, a federal program that channels a sliver of Fannie Mae’s and Freddie Mac’s earnings toward increasing or preserving affordable housing—could go toward rural housing, roundtable participants did not find them sufficient for the affordable housing needs of rural communities. One way to bring more capital to rural communities is by identifying incentives for developers and financers to support affordable housing in areas that do not fall under the Community Reinvestment Act’s assessment areas. The CRA created an affirmative obligation for financial institutions that are federally insured to help local communities—including low- and moderate-income communities—meet their credit needs. The CRA evaluates banks’ activities in “assessment areas,” which generally include where a bank makes or buys a significant share of its loans, where the bank has a branch, or where the bank has a depository ATM. Participants in the roundtable expressed that many rural areas are not covered under current assessment areas, which removes the incentive for larger financial institutions to put their capital in more remote nonmetropolitan areas. To be sure, the banks that fall under the CRA have been decreasing certain streams of their lending, and nonbanks have been increasing their activity. There are also other financial incentives beyond the CRA that influence the behavior of banks that the CRA regulates. Nevertheless, addressing gaps in CRA coverage could be a tool for promoting capital and investments in rural communities. Affordable multifamily rental properties in rural communities are aging, and many could lose their affordability status in the near future. According to a 2014 report from the National Rural Housing Coalition, more than 93,000 units had left the U.S. Department of Agriculture, or USDA, affordable rental housing portfolio at the time of writing. In particular, the number of Section 515 properties—which are financed through loans made from the RHS for multifamily properties that are affordable to very-low-, low-, and moderate-income households; people with disabilities; and elderly people—is at risk of significantly downsizing over time. The Section 515 program was added to the Housing Act of 1949 through the Senior Citizens Housing Act of 1962. The program created around 1,000 new properties annually at a high point in the 1980s. Today, none of the funding for the Section 515 program goes to building new affordable properties, and the existing stock of properties is in need of preservation and repair. Participants in the roundtable agreed that preserving the affordability of these 515 affordable rental properties is a crucial task at hand for rural communities. Roundtable participants suggested that additional support and mechanisms to transfer a 515 property exiting its affordability status to a mission-oriented organization that will preserve its affordability can be a major boost to affordable housing. Getting to scale by encouraging transactions where multiple 515 properties can be preserved together, facilitating access to LIHTC and other favorable financing, and providing needed technical assistance could greatly support the preservation of this important resource in rural communities. Roundtable participants suggested that the land on which a 515 property is located can sometimes have significant value. In these instances, allowing land to recapitalize the 515 property and allowing an additional 515 property to be built on the land could be one way to promote this source of affordable housing in rural communities. The RHS could also consider reducing existing mortgage payments, deferring debt, and using other creative tools to help revitalize its affordable multifamily portfolio. In addition to the challenges of preserving the affordable rental stock under the RHS’ portfolio, there is a need to reduce barriers to the construction of new affordable rental housing. For instance, there has been no new production of affordable rental housing through the Section 515 program in several years. As properties exit the Section 515 program, there is a need to consider and fund the production of new properties in rural communities suffering from severe cost burdens and the lack of affordable rental housing options. Roundtable participants emphasized the critical importance of supporting rental assistance as a policy imperative for rural communities. Programs through the U.S. Department of Housing and Urban Development and through the USDA reduce the cost of housing for tenants through programs that include housing vouchers and “project-based” assistance that subsidizes tenants’ rent for property owners. Rental assistance plays a vital role in rural America; for instance, more than 67 percent of tenants living in properties financed by Section 515 loans received rental assistance in September 2015. Congress has also shortened the contract terms for the USDA Section 521 Rural Rental Assistance program, which helps subsidize the rents of tenants in certain USDA-assisted multifamily properties, including those financed by the Section 515 program, and many of those contracts will soon be up for renewal. The cost for renewing rental assistance contracts is projected to grow over time. Increased support for rental assistance, a critical resource for rural consumers, could facilitate the successful development and operation of affordable housing. 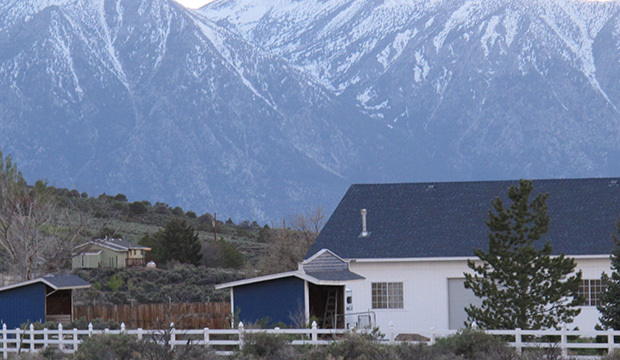 Manufactured housing is an important source of affordable housing for rural communities, but many manufactured housing loans are being made as personal property or chattel loans instead of as real estate loans. While some manufactured housing owners may prefer their unit to be financed as personal property as opposed to real estate due to certain cost savings, real estate loans come with important consumer protections for the borrower, and personal property manufactured home loans could prove risky for people who are already low income. Additionally, the interest rates on chattel loans tend to be significantly greater than the rates on real-estate-titled manufactured home loans. Many manufactured homes across the country are arranged into communities where a number of homes are in close proximity. Although most homes in manufactured housing communities are owned by the people living in them, only a small share of the residents own the land under their manufactured home. Residents in such communities often face high increases in rent and lack of maintenance by park owners. They are also vulnerable due to the difficulty of moving a manufactured home if living in the community gets too expensive or oppressive due to inadequate maintenance. One consumer-friendly alternative to such communities is manufactured housing that is arranged into resident-owned cooperatives. In such communities, residents own their manufactured home and a share of the community, and they manage the operations of the community as well. Resident-owned communities can help lower costs for residents, give them a stake in land, and empower residents to make decisions that affect their community. There are several forms of manufactured housing, including those discussed above, but roundtable participants noted that investors may not be aware of the diversity within the manufactured housing market. Increasing awareness of consumer-friendly versions of manufactured housing, including real-estate-financed mortgages and resident-owned manufactured housing communities, could counter investor reluctance to invest in the manufactured housing market. A secondary market for such forms of manufactured housing could also provide a powerful boost. The proposed Duty to Serve rule, once finalized, will govern the government-backed mortgage financers Fannie Mae’s and Freddie Mac’s statutory duty to serve underserved housing markets. The rule could be one mechanism for creating a secondary market for consumer-friendly models of manufactured housing. Participants in the roundtable seemed to agree that community development financial institutions, or CDFIs, are an important resource for rural communities. CDFIs are financial institutions that are mission driven and seek to economically support individuals, small businesses, affordable housing, and community services. According to a presentation on research by the Carsey School of Public Policy at the University of New Hampshire, mission-driven CDFIs are effective at serving lower-income and underserved populations, including those in rural areas. When larger financial institutions pulled back due to the financial crisis, CDFIs stepped into the void and increased their lending, which may signal their ability to serve an important countercyclical role for rural communities. There are many ways that CDFIs serve rural communities: They can assist in energy efficiency efforts and housing counseling; support affordable housing; and help provide consumer-friendly and affordable manufactured housing. CDFIs can have deep knowledge and outreach into the rural communities they serve, and they can help traditional institutions and the federal government extend their reach into remote rural areas that may be difficult to serve. Despite these benefits that CDFIs can have for rural communities, roundtable participants noted that many are challenged by capacity needs and resource needs such as access to affordable capital. This can especially hinder support of operations. The lack of long-term debt financing for CDFIs’ operations and capital structure affects the products they can provide to their consumers; given the lack of long-term capital, CDFIs in turn can struggle to offer long-term financial products needed in rural communities. Additionally, CDFIs face challenges when operating outside of CRA assessment areas. Since large depository institutions may be less inclined to invest capital in rural communities that are excluded from their CRA assessment areas, rural CDFIs may struggle to obtain capital from larger financial institutions. Moreover, CDFIs that are rural can have a smaller scale and may be less self-sufficient, and two of their biggest challenges are raising capital and deploying that capital. Supporting CDFIs could occur in many ways. For one, the USDA, the Department of Housing and Urban Development, and other federal agencies could partner with them for various financing activities. For instance, the USDA recently announced the Uplift America Fund, which works across the public and private sectors to provide USDA loans and private grants to community lenders, especially CDFIs, in order to promote community facilities such as schools, food banks, and child care centers in certain distressed rural areas. Second, ensuring that CDFIs have access to federal guarantee programs could help promote their work in rural communities. The importance of borrower education cannot be understated in rural communities. Roundtable participants noted that in manufactured housing, for example, consumers are not aware of their financing options. They often end up going with loans offered by housing dealers, who may use sales tactics to convince prospective homebuyers to accept unaffordable loans as opposed to going to a community bank, where they may get more favorable terms. Having manufactured housing dealerships disclose information to buyers and sellers could improve consumers’ awareness of manufactured housing issues. Access to appraisal data for manufactured housing properties could help consumers compare different manufactured homes. Housing counseling helps people having trouble paying their mortgage develop a plan at little or no cost, or helps people who want to buy a home get ready to ultimately purchase one. Housing counseling has proven results for helping prospective homeowners achieve homeownership and for helping homeowners avoid foreclosure. Given these benefits, policymakers could explore how housing counseling may play a role in rural communities. Deploying housing counseling in strategic and targeted ways that account for the scale, financial infrastructure, and character of rural communities may be a tool for equipping rural residents with the education and tools they need to make informed decisions about homeownership. More data on rural communities and programs are also key in order to truly make evidence-based policy decisions. Current research has illuminated certain trends and insights, but more granular data can help researchers understand the pressures on and characteristics of rural communities. For example, data collected through the Home Mortgage Disclosure Act, or HMDA, are a critical resource for housing policy researchers. However, financial institutions that have less than $44 million in assets or that do not have any financial activity in metropolitan areas do not have to submit data through the HMDA. This could leave out a significant share of lending that happens in rural communities. In addition, agencies could provide more robust data on federal programs available for rural areas. These programs should include both those that are meant for rural communities as well as those with a more urban focus so that policymakers and practitioners can understand the rural dimensions and opportunities of all programs, including those that may seem more oriented toward urban areas. A close look at the housing credit needs of rural communities reveals that there is much to be done to promote access to credit in rural America. Exploring ways to support rural housing credit can help identify tools to help rural communities thrive. Given challenges that may cross urban and rural communities, considering ways to broaden rural housing credit also sheds important insight for the broader conversation on affordable housing challenges throughout the country. The roundtable convened by the White House Rural Council and the Department of Agriculture’s Rural Housing Service and facilitated by CAP explored these issues and identified areas of opportunity for policymakers to explore. In particular, federal affordable housing programs, such as the Low-Income Housing Tax Credit, could better account for the scale of rural communities, and policies could help rural communities get up to scale to access sources of financing more easily. Rural communities need more affordable and predictable capital to finance affordable housing, and rental assistance is an important tool for facilitating affordability. Furthermore, affordable rental stock that has been funded through the Department of Agriculture is at risk of expiring soon, and thousands of units have already exited the agency’s affordable rental portfolio. Strategies for preserving and constructing more affordable properties, for increasing affordable capital, and for strengthening rental assistance could provide critical support for rural housing. Alongside these opportunities, support for consumer-friendly manufactured housing models can help strengthen manufactured housing, which serves as an important source of affordable housing for many rural households. Support for community development financial institutions can be impactful as well, given the prominent and impactful role they play in rural communities. Finally, more data and information on rural communities and programs can contribute to robust, evidence-based policy decisions on rural housing and finance. Further research on these areas of opportunity would be an important step toward promoting access to credit in rural communities and toward helping communities across the country overcome their affordable housing challenges. Shiv Rawal is a Research Assistant for the Economic Policy team at the Center for American Progress. Sarah Edelman is the Director of Housing Policy at the Center. Gerardo Sanz was an intern and then a contractor for the Economic Policy team at the Center.